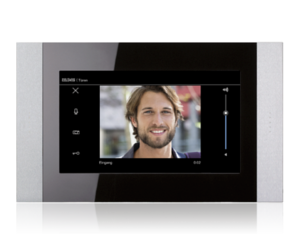 The audio indoor stations provide a wide range of functions and convenience. The condenser microphone ensures brilliant audio transmission. 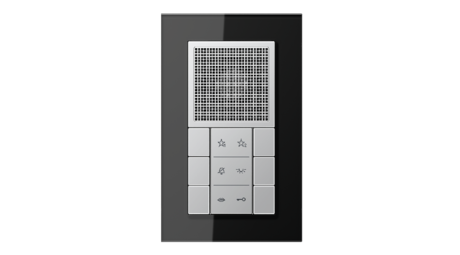 Functions such as call transfers or internal calls support easy communication within the house. 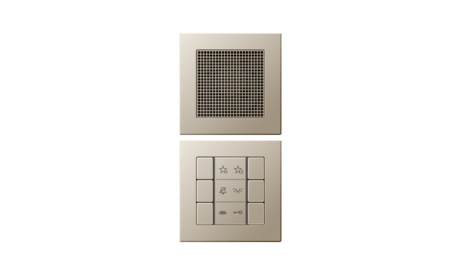 The integrated privacy function and the speaking key with status LED makes it user friendly. 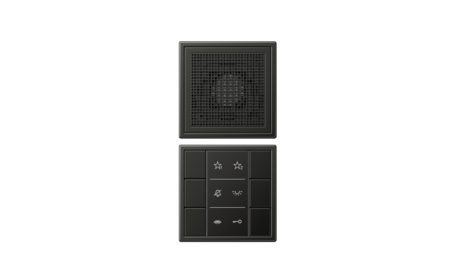 Clear symbols on the labelling area or the optional design cover provide orientation in the allocation of the keys. In addition to the occupied fields, two favourite keys can be programmed with further functions. The labelling areas can be individually designed through the Graphic Tool. 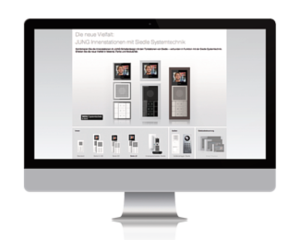 The deployment of Siedle system technology is the basis for the combination of Siedle door stations and JUNG indoor stations. 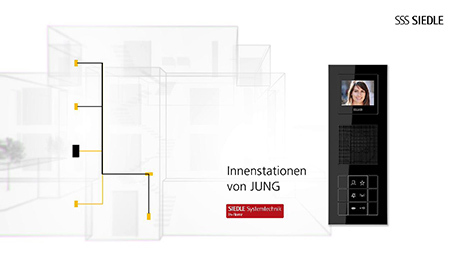 The JUNG indoor communication stations are compatible with the door stations from Siedle and vice versa, through the In-Home bus with automated set-up by means of plug+play. The set-up and programming of an In-Home bus system couldn't be easier thanks to plug+play. Plug it in and get started, without any configuration or programming. 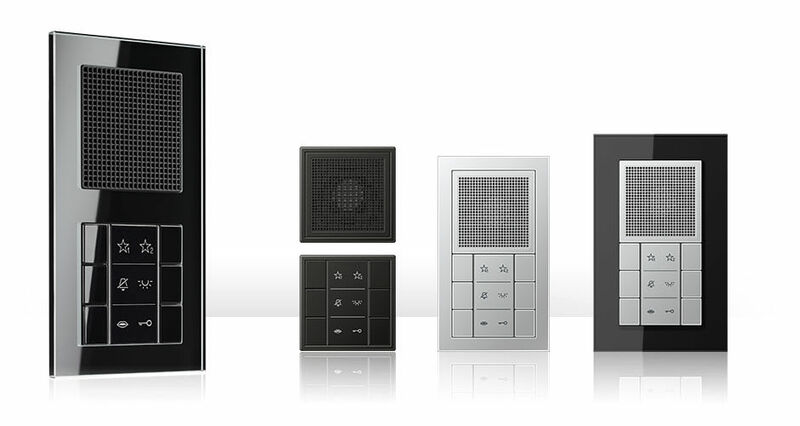 Varied design, different colours and materials: the audio indoor stations stand out with their wide variety of designs. 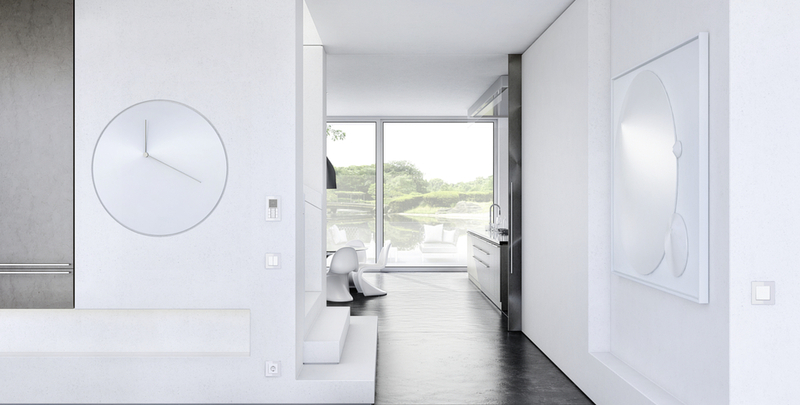 Freedom of design in the installation is guaranteed by fitting the modules in multiple frames or as separately installed units. Plan the inside and outside individually. 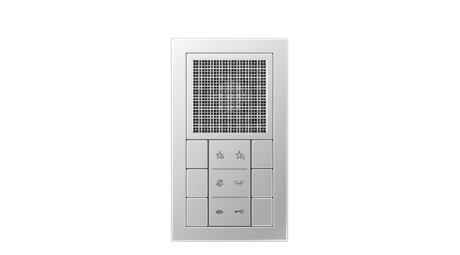 Combined operation of building system technology and communication – that ensures greater security and convenience.